Privatisation may be defined as the sale of shares of state-owned enterprises (SOEs) to private investors, resulting in the transference of the property and the decision-making capability from the public to the private sector. Privatisations have always been controversial reforms, from the first ones developed by the Thatcher government in 1979, until now, when the Troika has pushed through privatisation programmes in EU member states that suffered financial problems during the last crisis. Privatisation lies at the heart of many reforms but there is little agreement on the reasons why governments privatise, which means losing the control and ownership of SOEs. Traditionally, these reforms have been explained by the belief in greater efficiency of the private sector, on the basis of New Public Management (NPM) theory. In our Policy & Politics article, we take a macro-economic perspective of efficiency, to explain privatisation reforms in Europe through the level of public deficits. 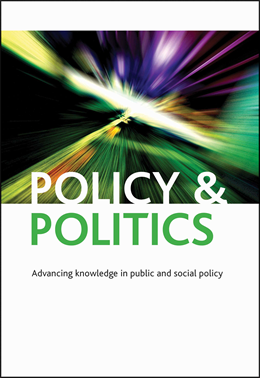 Traditionally, scholars have claimed a reduction of deficits after privatisation reforms; however, often they only analyze the effect of deficits on the intensity of privatisation, leaving aside the subsequent effect of privatisation on the fiscal situation. In our paper, we test a simultaneous two-causal relationship between privatisation and deficits, by using a sample composed of 22 European countries during the period 1995–2013. Additionally, we take into account the role of political ideology on that bidirectional relationship. Typically privatisation has been considered a policy implemented by right-wing governments to a greater extent than left-wing ones, since ideologically conservative governments tend to favour the functioning of the free market without the intervention of the public sector. So, we wonder if the bidirectional relationship between privatisation reforms and governments’ deficits is moderated by their political ideologies. Our empirical findings suggest that fiscal positions cause privatisation decisions and simultaneously privatisations cause the level of fiscal balance of governments in Europe. Furthermore, there is no evidence of a direct effect of political ideology on privatisation proceeds, but it moderates the simultaneous relationship between privatisation and public deficits. More specifically, we found that countries with larger deficits tend to carry out more substantial privatisation transactions, especially when the central government has a left-wing ideology. In these cases, we found that privatisation effectively improves fiscal balance. In contrast to the traditional literature on the political economy of privatisation, our empirical results suggest that left-wing governments tend to resort to the private sector with the aim of restructuring public administrations with large deficits. Furthermore, our findings support the idea of a mix of pragmatic economic and political reasons behind the privatisation processes. This study may not only be useful for scholars of public management, public administration and public policy, but also have practical implications. Privatisation could be useful for European countries that suffer financial problems and fiscal distress. A change in the way their public administrations provide public services may be a possible solution (among others), even in countries governed by left-wing governments that have traditionally been more oriented to the public sector.